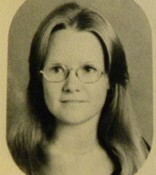 KERNERSVILLE - Mrs. Patricia "Patty" Carter Hampton, 45, of 140 Brown Road died Sunday, Feb. 9, 2003, at her home. Mrs. Hampton was born Dec. 28, 1957, in Forsyth County, a daughter of William Orville and Joyce Poteat Carter, and was a member of the Kernersville Wesleyan Church and was employed by Coldwell Banker Realtors in Kernersville. Mrs. Hampton was very active in the "Relay for Life" and was top individual fund-raiser for three straight years. In addition to her parents, she is survived by are her husband, Charles Michael "Mike" Hampton of the home; a daughter, Ashley Dawn Hampton, also of the home; three sisters, Kathy Coleman of Stokesdale, Sandy Walker of Kernersville and Lisa Walker of Wallburg; a brother, Billy Carter of Kernersville. Funeral service will be conducted 2 p.m. Wednesday at the Kernersville Wesleyan Church by Pastor Phil Hulen and Chaplain Fred Moretz with burial to follow in the Eastlawn Gardens of Memory. The family will receive friends from 7 to 9 this evening at the Hayworth-Miller-Cain Funeral Home. Memorials may be directed to Hospice of Winston-Salem, 1100-C S. Stratford Road, Winston-Salem, 27103 or to the American Cancer Society, 1900 S. Hawthorne Road, Winston-Salem, 27103. Patty was the first person I met when I entered first grade at Kernersville Elementary School.